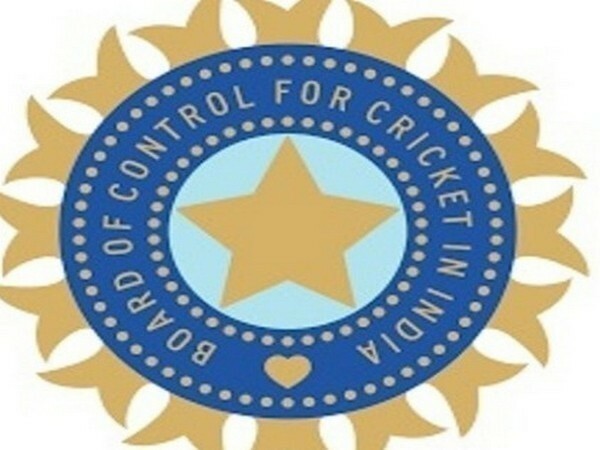 Mumbai (Maharashtra) [USA], Oct 27 (ANI): The Board of Control for Cricket in India (BCCI) on Friday announced the Indian teams for the three-match T-20I series against West Indies and the three-match T-20I series and the four-match Test series against Australia to be held later this year. Mumbai (Maharashtra) [India], Oct 13 (ANI): The Board of Control for Cricket in India (BCCI) on Saturday directed Chief Executive Officer (CEO) Rahul Johri to provide an explanation regarding the sexual harassment allegations leveled against him. Kathmandu (Nepal), August 8, (ANI): The Board of Control for Cricket in India (BCCI) has invited the Nepali U-19 team for One Day series next month. New Delhi [India], Aug 2 (ANI): Former Board of Control for Cricket in India (BCCI) president Anurag Thakur on Thursday filed an application before the Supreme Court asking it to recall its earlier order of removing him from his post. New Delhi [India], July 11 (ANI): A day after India Women's Cricket Team Coach Tushar Arothe stepped down from the role citing personal reasons, Board of Control for Cricket in India (BCCI) acting president CK Khanna said the recruitment process for the new coach will begin shortly. New Delhi [India], July 11 (ANI): India Women's Cricket Team Coach Tushar Arothe has stepped down from the role citing personal reasons, the Board of Control for Cricket in India (BCCI) said on Tuesday. New Delhi [India], July 6 (ANI): Clarifying its stance over the legalisation of regulated gambling and betting, the Law Commission of India on Friday stated that it had "strongly and categorically" told the Centre that this would not be desirable in the present scenario.